42-million-year-old fossils of a four-legged whale are being uncovered in Peru. This species is called Peregocetus pacificus; means the whale that traveled and reached Pacific. A new light is shed on the evolution of these ancient aquatic mammals. Studies say that the ancestors of dolphins and whales of today have evolved from a four-limbed hoofed animal, small in size. Around 50 million years ago, these small creatures lived in South Asia, during the Eocene. 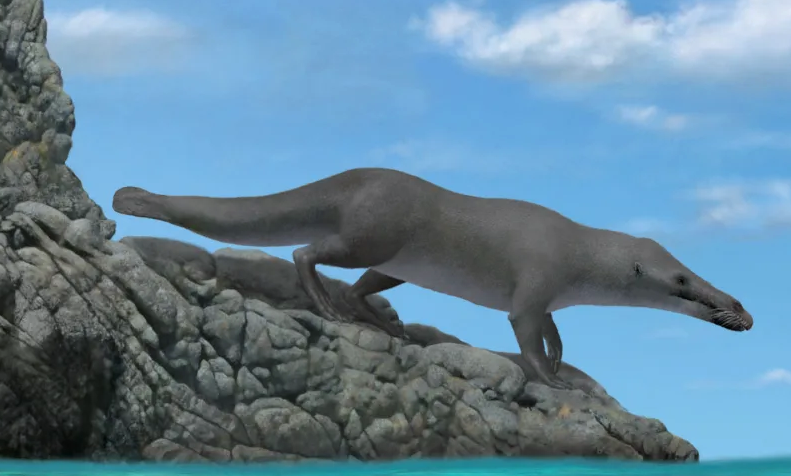 According to the evidence of fossils, around 41.2 million years ago these aquatic mammals may have reached North America swimming from the west. This recent discovery in Peru helped to make an important note that the ancient whales made South America their first home, not North America in the New World. The detailed report is published in Current Biology this week. Researchers say that this is the first record of a four-legged skeleton of the whale. It may the oldest skeleton for the Americans. Outside India and Pakistan, it is the most complete skeleton. Analysis of this fossil shows that these species were well adapted to sea as well as land. Their characteristics were like modern beavers and otters. The size of these creatures was found to be double the size of today’s otters and measured around 4 meters in length. The terrestrial abilities of Peregocetus suggested a quadrupedal gait on land. The fossil had tail bones like the otters and beavers have today and this suggested that its tail was an important part considering its aquatic activities. Also, the finger and feet size of the fossils suggests webbed appendages. As per the researchers, these four-legged whales may have crossed the South Atlantic Ocean to reach South America from the western coast of Africa. At that time, the distance between South America and Africa was half of what it is today, so these species would have traveled in a manageable way. The researchers say that they will keep searching for more such fossils for better research. It has been a surprising discovery and would be very much helpful to study the evolution of whales. Wayne Ross has over 15 years of experience in a range of industries and domains. 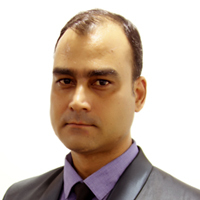 From academic research and editing to the news desk, he has vast experience in Business, Technology, Science and Health. Wayne has a flair for gathering data and information through extensive research efforts and has a strong set of skills to cover almost any domain with ease and produce reports that are easy to understand and aid in making well-informed decisions.